The theme will not provide a secure environment that will keep your music from being downloaded. If you do not want your music to be downloaded, follow Amazon and Itunes and put the first 30 or 60 seconds of your song to be sampled. Proper setup insruction manual for easy setup. Lots of links back to your website. Proper indexing of tutorials allow you to zoom in on any section for lightning fast overview. Custom calendar with single day, multi day and recurring events. Countdown timer widget that catches the eye. Get people to your events. Reminders will remind your fans of upcomming events. Easy integration into your theme. No plugins to download. Image link widgets that links to any content. a SSL certificate are required from Facebook for fanpages. The background artwork of the content slider demo is not included in the theme. 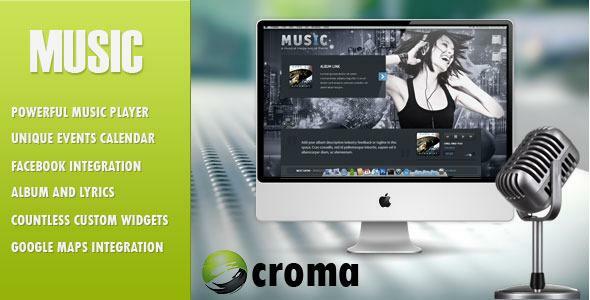 Share the post "Music: Musicians theme & Facebook app"